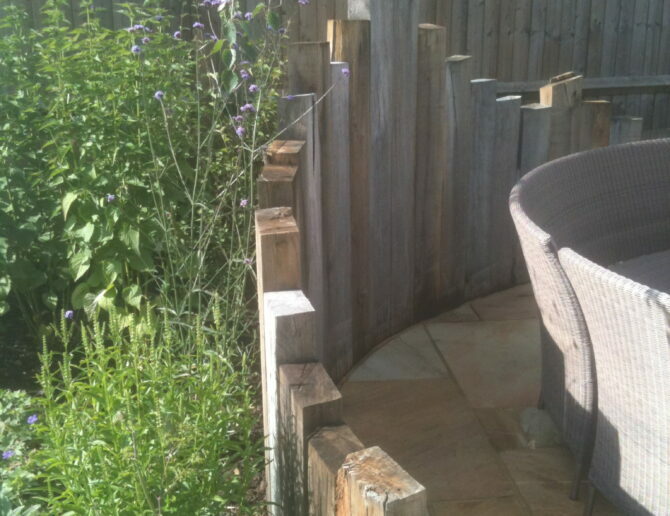 Designer: Tim Horner – Waratah Garden Design & Construction. 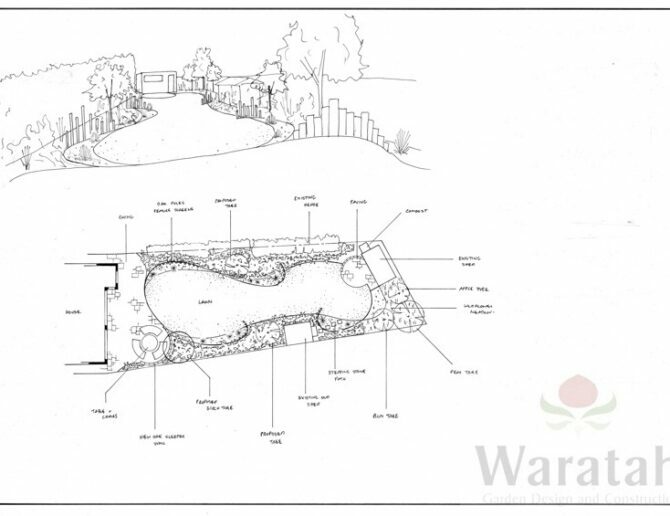 Contractors: Main Contractor – Waratah Garden Design & Construction. 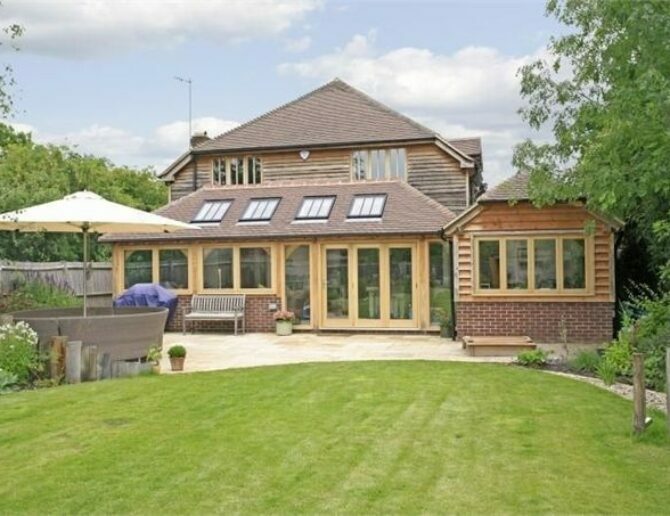 The house extension was a very clean contemporary space internally and the use of new oak timber beams and windows gave the house a barn style feel. 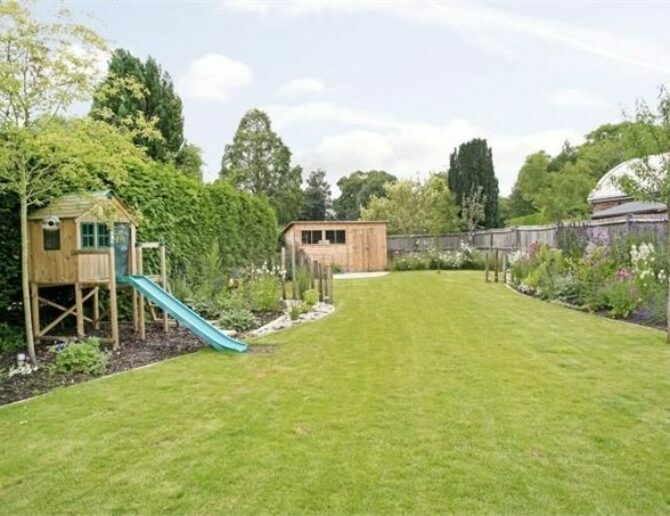 It was decided that a country feel with some more contemporary ideas was going to compliment the style of both the house and also the client and their family. 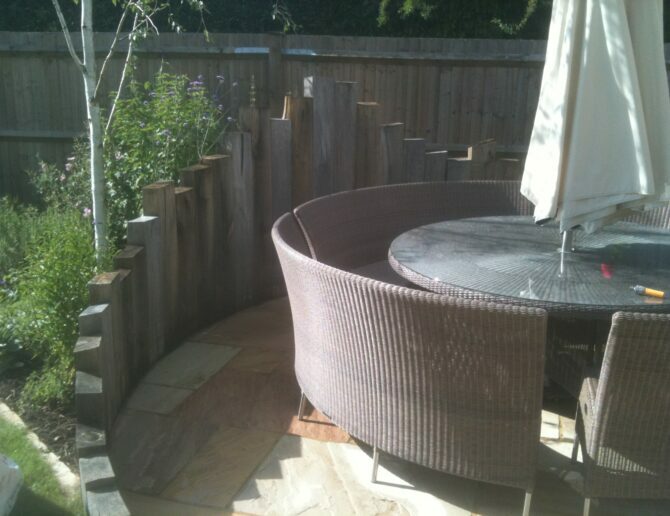 Using traditional materials such as large oak beams and cleft railings in more unusual ways added structure to the garden. 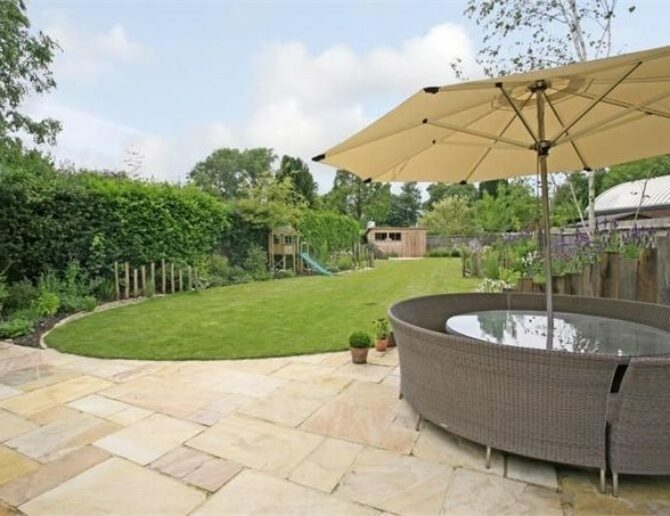 Other elements such as an small orchard and meadow gave the garden a real feel of the english country garden.